Joan Alturo // Friday Feature. This is our fourth Friday Feature, where we give one AUB student a featured article, and we interview them to find out a little more about them and their work. 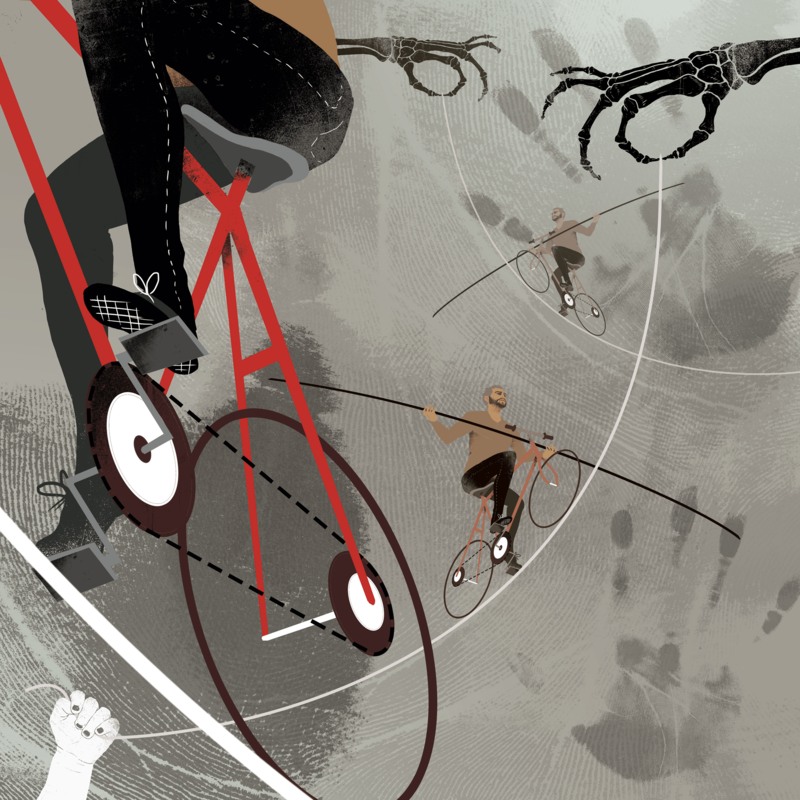 This week we’re featuring Joan Alturo an MA Illustration Student. 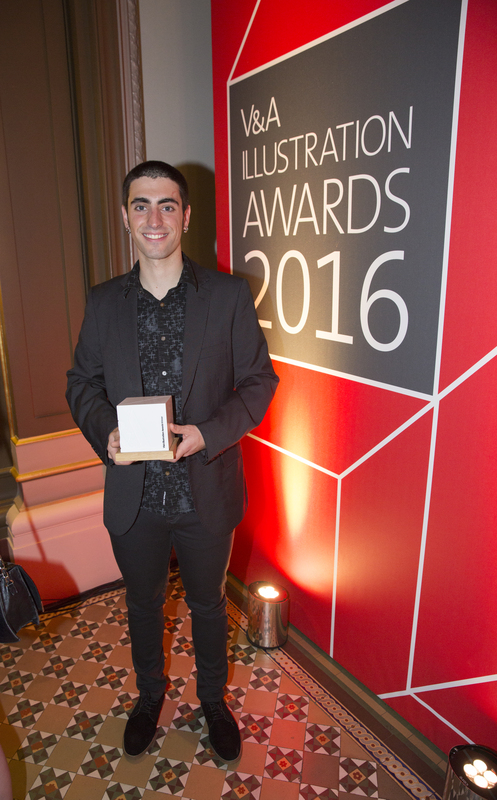 Joan recently became Runner Up in the V&A Student Illustrator Awards for his project Mors Et Vita. Whats the main thesis of your work? How did you enter the V&A competition ? 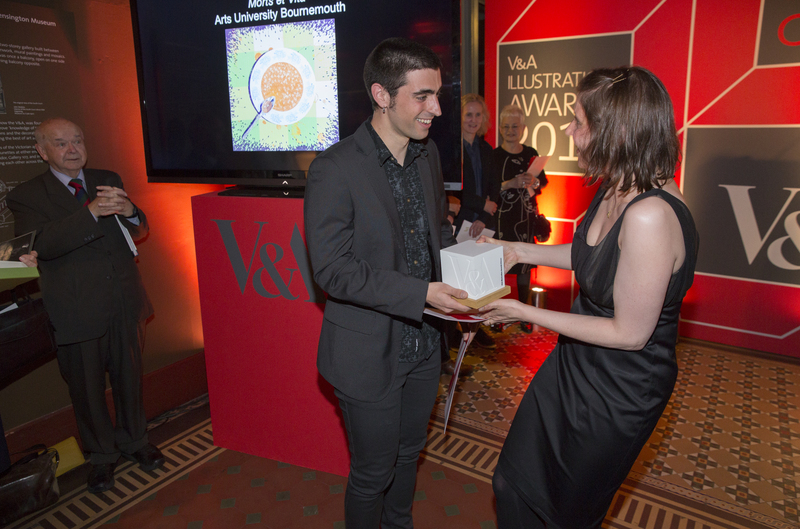 I was encouraged by the university to enter as many competitions as possible, in particular the V&A student awards. I had visited the V&A twice before and was intrigued by the competition. When I was submitting the form I released that the entry fee was free. I also had to submit some selected illustrations that would be judged. 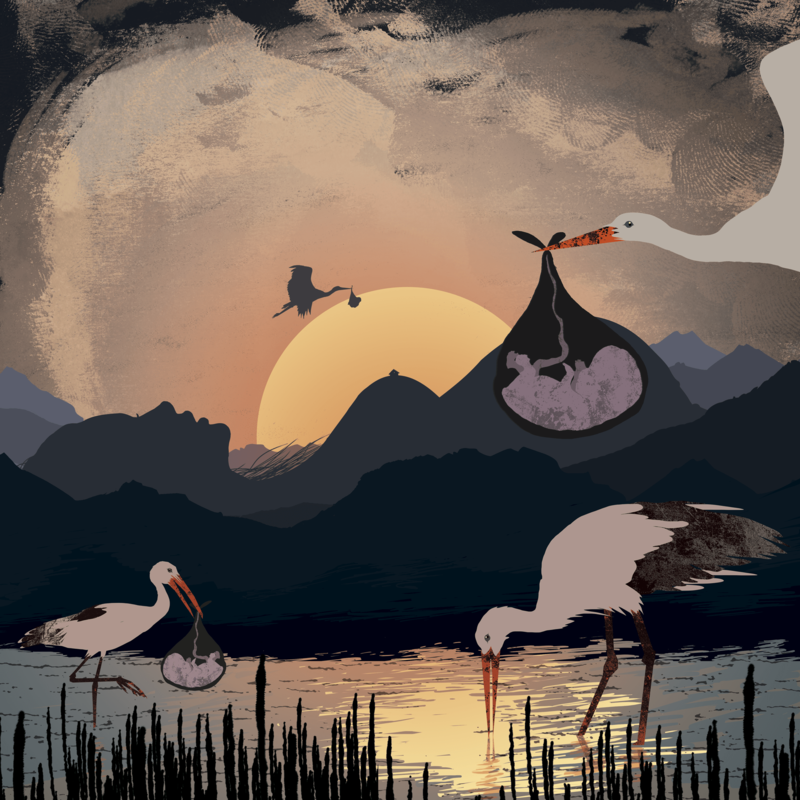 I chose these illustrations: Birth Youth / Adulthood from my Mors et vita project. What happened at the event, run us through your evening? The ceremony started at 7.30pm where all the winners were introduced to each other. It was full of people and I had my family in the crowd. All the work was on display, we were offered drinks so the public could look round the work. There were some familiar faces, such as Jacquline Wilson, children’s book writer, which was exciting. We were then awarded in turn by the judges who gave their comments on each of the winners work. It was very special to be surrounded by so many talented people. I then had the opportunity to talk to people that had attended the evening, which was a good experience to network with other people and get possible work and commissions in the future. Do you think competitions are beneficial to students? Yes definitely, I think that we should enter as many competitions as we can. If the brief of the competition is on a specific topic and you need to produce the work in advance, if you are student its really good exercise. Also if your lucky and and the judges choose your illustration, it is a great chance to promote your work and talk with other illustrators, this can also be great accreditation for your webpage. On the other hand, it is important to keep in mind if the competition is convenient to you and if entry fees are worth it. If you make work and it doesn’t make to to the finals it can make you feel as if it was a waste of working time. However I really want to promote the V&A awards, they look after you well and is free to join and something great could come out of it! I will be staying in Bournemouth for the summer as my MA course carries on until September. I hope to visit my hometown of Barcelona, however I want to make the most of my stay here in England and take inspiration from my surrounds and see as much of the UK as I can. Any secret projects coming up ? 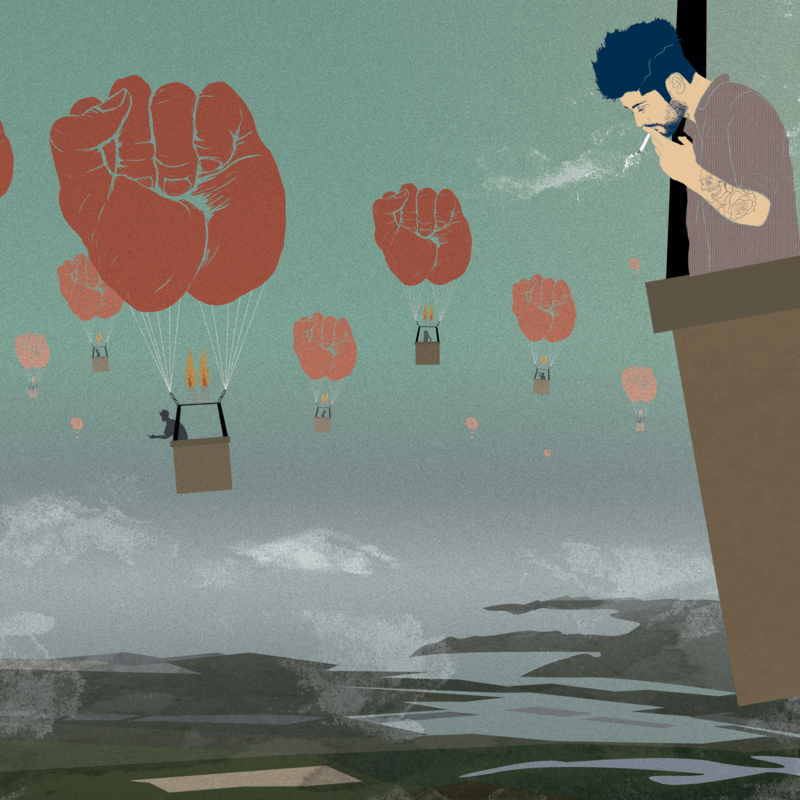 I am currently working on a couple of projects, my most recent is a series of conceptual illustrations using visual metaphors taken from articles in newspapers, with a iconographic aesthetic. I am also working on a new personal project about similarities between animals. I have also got some commissions for a band cover and some skate deck designs. V&A Website with Joans work. We’d like to say a massive congratulations to Joan & Thankyou for chatting to us about your work, best of luck in the future! Next ArticleA Summer In Colour.